The Star Trac S-RBx recumbent bike offers a variety of cardio cycling benefits without putting stress on the joints: it helps condition the heart and lungs, helps lower blood pressure, and of course, a steady exercise program helps burn a ton of calories for effective weight loss. The user-friendly console and keypad has large buttons for easy visibility and use. The display features a 4-character message window, course profile, and motivational track, as well as readouts for time, distance, RPMs, and more. The Star Trac S-RBx recumbent features hand grip heart rate sensors on the front-mounted handlebars, plus wireless Polar® telemetry HR monitoring. 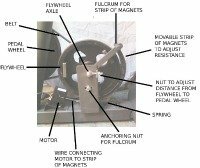 Other features of the exercise bike include a one-piece crank and two-sided pedals, an adjustable seat, 20 levels of resistance, a water bottle holder, and storage rack. The 10 pre-set programs include 2 heart rate controls, Increase Endurance, Fat Burn, Distance Goal, Calorie Goal, Fitness Test, Manual, and more. 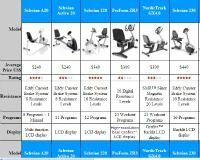 To expand programming and motivational activity, the Star Trac S-RBx recumbent bike comes pre-wired for the Star Trac Entertainment Solutions system which is an interactive 15" Touch Screen LCD screen with iPod connectivity. The step-through frame is crucial and welcomed by people who need a sturdy recumbent bike for rehab but can’t lift a leg to step over a center frame. Weighing in at a heavy 185 pounds, one would think this stable steel frame recumbent should carry more than its stated 350-pound max user capacity, but we’ll take Star Trac’s word that it has its limits. The cooling fan and heart rate monitoring system are pluses, as is the self-contained power supply (no plug-in needed). 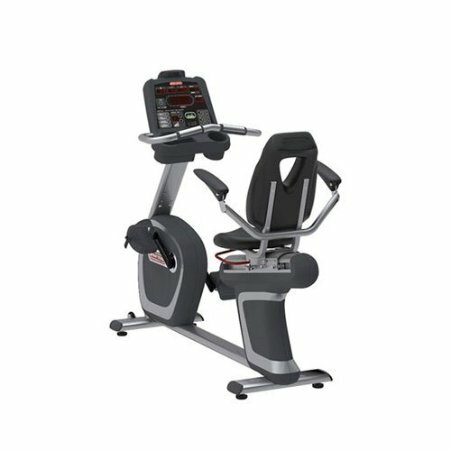 Users mention in their reviews that the Star Trac S-RBx is a nice machine with comfortable armrests and wrap-around seat, with a feel that is comparable to a health club machine. The Star Trac S-RBx recumbent bike is priced around $2,450 making it one of the more expensive home recumbents on the market. For that price you should also look at the Cybex 750R and the LifeCycle R3, both will likely save you some money while still delivering light commercial quality.